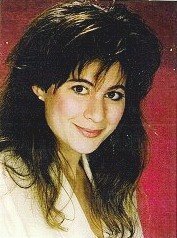 Janet March disappeared off the face of the earth ten years ago on this date (August 16, 1996). Her loving husband, Perry March would tell her parents that she told him she needed a break from things and took a small vacation to get away, and she never returned. Janet's car would turn up in an apartment complex about a week later abandoned, but still no trace of Janet. The case began to take a more sinister turn. Perry March did not want Janet's parents to go to the authorities just yet, although by this time, Janet had been gone for nearly two solid weeks. Perry claimed that going to the police might embarass Janet because she'd been on vacation and that he'd opt to hire a PI instead of going to the police. Janet's parents thought this was ridiculous and reported Janet MISSING. This was only the beginning of what would be a ten year roller coaster for the Levine family. Perry March surely had an edge over most people who would want to commit a crime, he had knowledge of the law, after all, he was a successful attorney in Nashville, Tennessee. He has claimed from the beginning that he had NOTHING to do with Janet's disappearance. Well I suppose everyone should just believe him and leave it at that? Not hardly. As it became apparent Perry March was not going to cooperate with authorities regarding his wife's disappearance, they would need to secure a search warrant for the March house. Perry March claimed that Janet had typed him a to do list before she took her vacation. The only problem is that their computer's hard drive was gone, just like Janet March. Who would take the computer's hard drive out and why? Could it be because Janet March never typed that to do list and if the hard drive were to be analyzed that it would be determined that Perry March had made up the list, and the story about Janet taking a vacation? It would take nearly nine years before Perry March's castle would begin to crumble. He'd already moved to Mexico to be with his smart mouth daddy whose interview with 48 Hours was one that nobody can ever forget. Dear old dad and Perry were first charged with attempting to hire a hit against Janet's parents to stop them from trying to gain custody of the two children Janet had with Perry March. Arthur March struck a deal with the police to escape a lengthy jail sentence and testified against Perry. 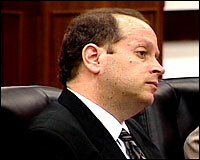 He stated that he and Perry helped dispose of Janet after Perry murdered her on August 16, 1996. So far, they've been unable to find Janet's body. Could it be that Arthur lied? He should go back to jail as far as I'm concerned. Janet is now missing for ten years today and FINALLY Perry March is on trial for her murder. To date Janet has not been located, so this is a trial without the body, just like Carrie's case. It'll be difficult, but not impossible to win. In some ways, you have look at how this all has worked itself out. Perry is now being held accountable for his actions on that August 16, 1996. I feel like justice is coming for Janet and soon. We are all hoping that her body can be located for proper burial soon. We will all be watching and waiting for the jury's verdict on Perry March. He has put Carolyn and Larry though enough hell. Thinking of Janet today on this tenth anniversary. She's still missing but NOT forgotten. What Happened To Janet March?